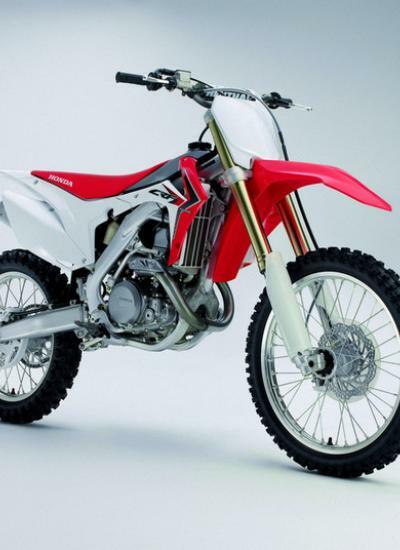 Long regarded as the bike of choice in the big-bore motocross division, the 2014 CRF450R incorporates improvements that will help this bike retain its premier standing. The prodigious powerband is now even stronger thanks to more low-end pull and midrange grunt along with enhanced throttle response via a new throttle body. Revised suspension linkage and settings yield improved control, increased ride plushness and enhanced rear-wheel traction. A new Honda Progressive Steering Damper (HPSD) produces even better tracking traits than before, and a new muffler meets the 94-decibel sound level required by some racing organizations in 2011. 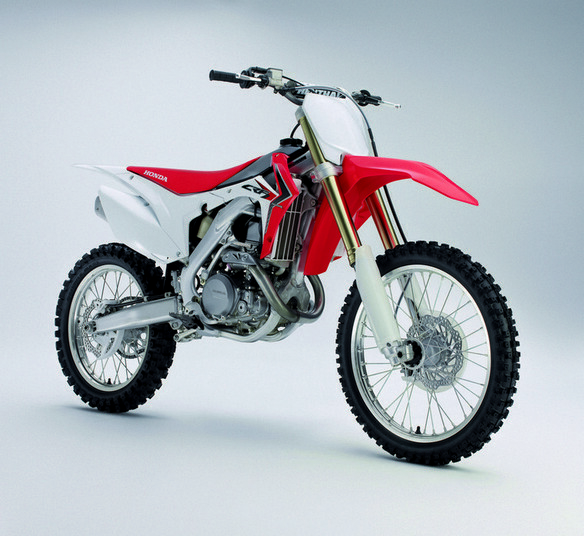 All this and more make the 2011 CRF450R a shoo-in to maintain its dominant role among open-class MX bikes. Revised engine tuning and new 46mm throttle body increase low-end and midrange power and give improved throttle response. Front fork features a lighter cartridge cylinder and all-new valving for improved control and increased ride plushness. Revised shock valving yields improved control and increased rear wheel traction. New suspension linkage produces improved chassis balance and increased rear wheel traction in rough-track conditions. Honda Progressive Steering Damper (HPSD) features larger piston diameter (20mm to 24mm) for improved tracking traits. Redesigned muffler lowers sound emissions to 94 dB.